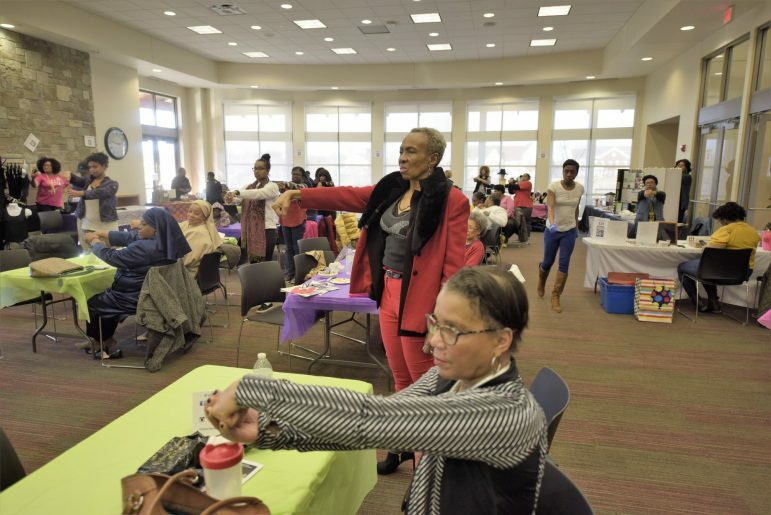 Community members kicked off the New Year on a healthy note Jan. 5 at “Making Fitness Fun,” Sister Spokesman’s first event of 2019. Sponsored by NorthPoint Health &Wellness Center the afternoon was loaded with an array of fitness and nutrition tips and live demonstrations. 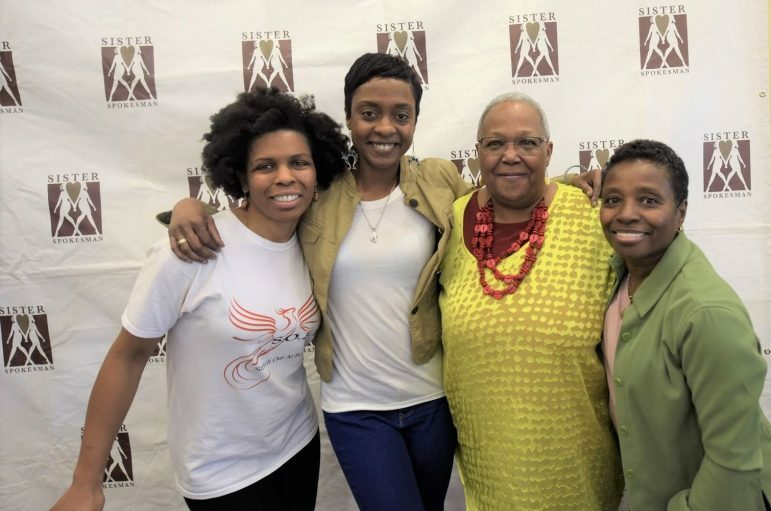 The event featured expert panelists Karen Blanchard of NorthPoint Health & Wellness Center, Rosann Stewart of S.O.A.R., and Brandi Phillips of The Wellife Method, who also shared healthy food samples. Candis McKelvy, a loyal Sister Spokesman attendee, said she enjoyed hearing about the stretching exercises demonstrated by Stewart. “Everyone talks about massages and exercises, but the stretches, that’s new and I’d like to try that,” she said. During the event, Philips unveiled a new eight-week GET FIT challenge she is facilitating in partnership with Sister Spokesman. The free challenge measures weight loss for a chance to win a $50 gift certificate. Rounding out the afternoon was KMOJ’s Q Bear, who kept the room at the Cora McCorvey YMCA in Minneapolis lively with workout jams perfect for shopping and networking. Look for more info about the GET FIT challenge in coming days. 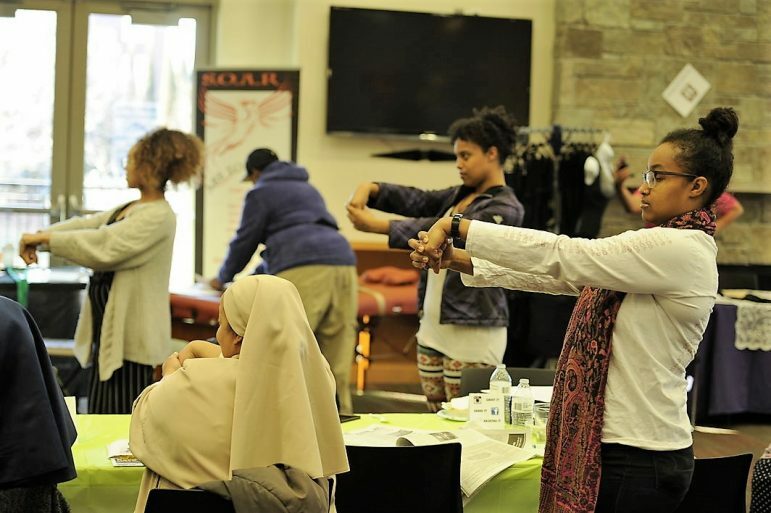 Sister Spokesman continues the focus on self-care with “Love Thyself” on Saturday, February 2 from 12-4 pm at Thor Companies, 1256 Penn Ave. N, Ste. 4000 in Minneapolis.